Attention Christians who want to put away old mindsets and believe what God has said! 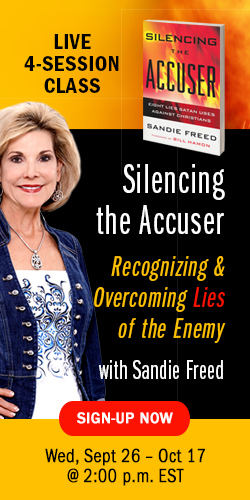 Silence The Accuser In Your Life! Overcome The Enemy, Defeat Worry, Put Away Reasoning, And Choose Words That Will Break The Chains Of The Past! Have you ever been accused of something you didn't do? Have you ever been reminded of past shame, defeat, and failure? One of the fiercest battles we fight against evil occurs on the battlefield of the mind. Proverbs 23:7 says that as a man thinks in his heart, so he is! The intent of the Accuser to build a fortress in our minds to "lock out" the voice of God's Spirit. Satan is an accuser who looks for opportunities to put you, your belief system, your character, and your responses on trial. God, on the other hand, has a plan for your life—plans to PROSPER you with health, peace, prosperity, wholeness and completeness. Be empowered to believe what God has said about you! 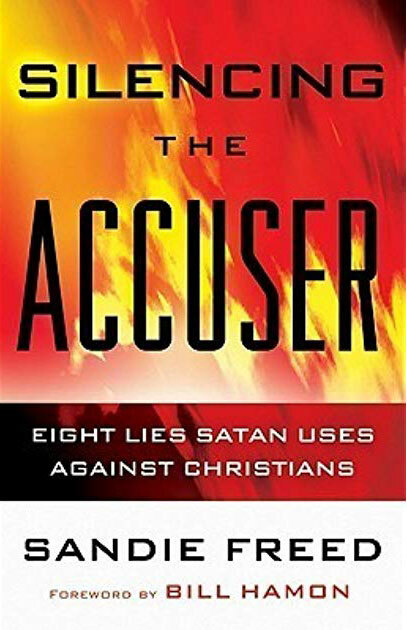 Several years ago, I wrote a book called "Silencing the Accuser: Eight Lies Satan Uses Against Christians". Recently, Holy Spirit has been giving me new downloads and new insights to expound on this topic much more. This brand new online class is for those who want more, who want to go deeper in your understanding of specific ways Satan attacks you and specific things you can do to renew your mind to overcome him. I feel confident saying this will make a big difference for you. The purpose of my training is to help you recognize and overcome lies of the enemy. It's time to silence the Accuser—exposing his wicked ways, shutting his mouth and quenching his fiery darts! Your battle isn't fought in the way this world fights in the earthly realm. Your weapons are spiritual in nature, not physical. 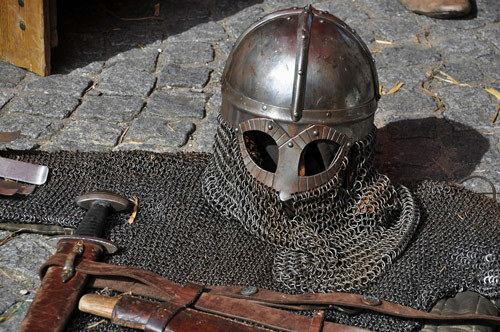 You are to use the full armor of God. Your power comes from God alone. God's plan is to demolish spiritual strongholds. You can overcome the enemy, defeat worry, put away reasoning, and choose words that will break the chains of the past! How to build a hedge of protection against the Accuser, his words and his destructions. How to extinguish the fiery darts (words!) of the enemy. How to reinforce your shield of faith. How to respond to "friends" who falsely judge us with their religious expectations and accusations. How to overcome a religious spirit. How to defeat spirits of witchcraft as accusations. Knowing God as the Healer. How to think and speak on purpose. Shouting down your Jericho wall. The time for passivity and complacency needs to end in your life so that you can move fully into the destiny God has for you. 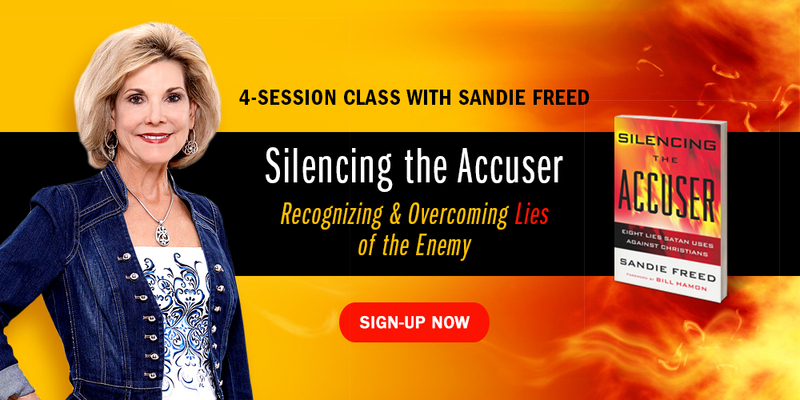 I encourage you to join me in this powerful class so you can recognize and overcome the lies of the enemy to experience victory! I feel a special anointing for this class. I sense God releasing His dunamis power through this teaching. Wake up! It's time! Come forth! The sooner you join, the more bonuses you will receive!!! The normal retail price for this LIVE training and all associated resources for an ENTIRE YEAR is $400 (or $100 per live session). However, by signing up before 11:45 pm Eastern Time on September 26, you receive a $200 savings, making your price only $200. 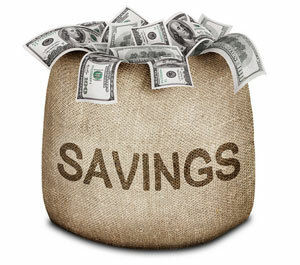 And we offer you three different payment options to fit your budget. Many Christians are unaware of the lies Satan, the accuser, whispers in their ears. Not only does he accuse believers, but he deceives them concerning their relationships with God and also their identities, and he speaks falsely concerning God and his love for his children. Using the Old Testament story of Job, author Sandie Freed exposes our ancient enemy and the multiple ways he manipulates believers. With her trademark transparency and warmth, Freed encourages those struggling with a sense of hopelessness, a negative self-image, or a season of attacks—to name just three. She shows readers how to root out and overcome the negative thoughts the accuser plants, arming them with battle-tested prayer strategies to silence him and his deadly whisperings forever. Receive this bonus by signing up before 11:45 pm Eastern on September 26. Starting Wednesday September 26, 2018, I (Dr. Sandie Freed) am teaching this LIVE weekly online training program. The purpose of this class is to silence the Accuser—exposing his wicked ways, shutting his mouth and quenching his fiery darts! The live classes are interactive, allowing participants to learn from one another, grow, and build COMMUNITY in a safe and trusting environment. If you miss a live lesson (or all of them for that matter), that is OK because we have replays for each session. After each lesson, you will be provided with a coaching guide to help you process and apply what you are learning. As a member, you will have access to a private member site with video and audio replays, study guides, PowerPoints, transcripts, and relevant bonus resources to reinforce and supplement what you are learning during the live weekly training sessions. You will also have access to a private Facebook group to let you interact and build relationships with other like-minded team members globally. It's great to know you can easily participate in this training from the comfort of your own home, your office, or wherever you happen to be in the world. All you need is a phone, tablet, or computer with a reasonably fast internet connection. I know this training will give you tools to equip you to grow in the prophetic, so I'm offering a 100% money back guarantee with this training program. So, if for any reason you are not delighted with this class within 30 days of when it starts, we will refund your entire investment. YES! I desire to silence the Accuser - exposing his wicked ways, shutting his mouth and quenching his fiery darts! 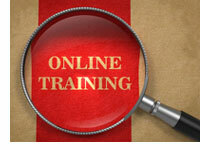 The normal price for this effective LIVE training program for all 4 sessions is $400 USD. CLICK the payment option you prefer to join! Blessings to silence the accuser and be set free! Dr. Sandie Freed is an apostolic-prophetic leader, author of more than 14 books, and travels nationally and internationally preaching, teaching, and ministering the Word of God. Sandie's gift is setting the captives free. She is founder of the FREEDOM REVOLUTION. Sandie and her husband Mickey co-pastor Lifegate Church in Texas. Sandie has a genuine love for the Lord and teaching and equipping the saints. She has a heart for helping people fulfill divine purpose and destiny. She is a gifted coach and often utilizes prophetic ministry and prayer to empower individuals toward change. Sandie is also a gifted business woman and has keen insight as to how to help you move forward with business and in spiritual life.